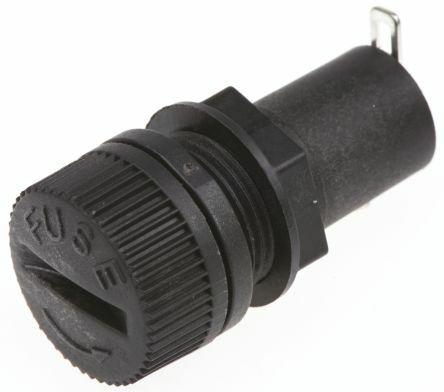 We offer a superb range of fuse holders for domestic and commercial use from a range of brands including Schurter, Littelfuse, Cooper Bussmann and Mersen. A fuse holder is a casing or housing into which fuses are inserted, simply to hold the fuse in place in order to fulfill its function. They come in many shapes, colours and sizes depending on where they need to be installed. 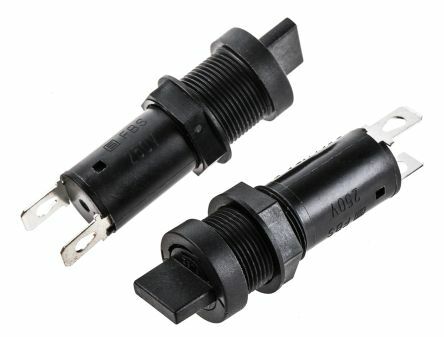 What types of fuse holder are available? We also stock fuse blocks, clips, switches and covers as well as PCB mounts and other types of accessories. Why do fuse holders melt? A fuse holder making poor contact with a fuse can be the cause of this, that is if the fuse has not blown. Current flowing through the electrical circuit, below the fuse's rating, will cause heat from the resistance. This can generate enough heat to cause the fuse holder to melt. It may not be immediate and can happen suddenly after installation. How do I clean a fuse holder?